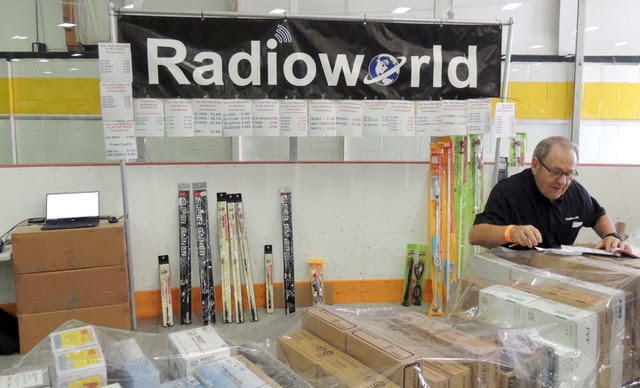 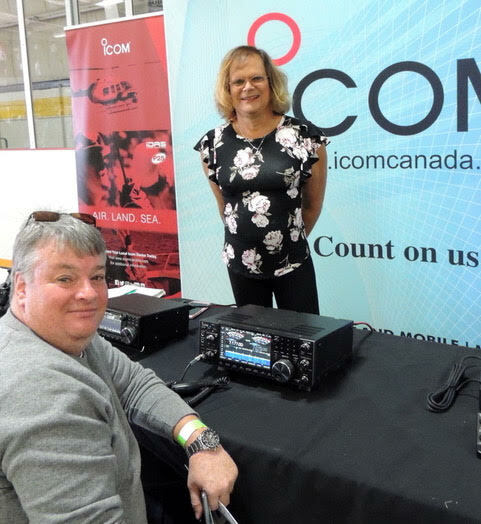 with Rose, VA3RZZ, from Icom Canada. 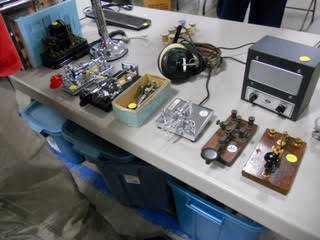 MacFarlane Electronics with a well stocked table. 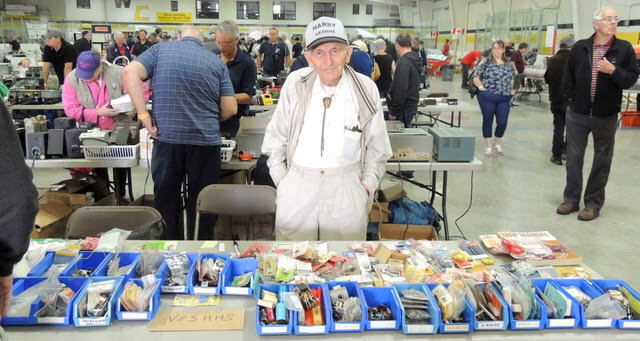 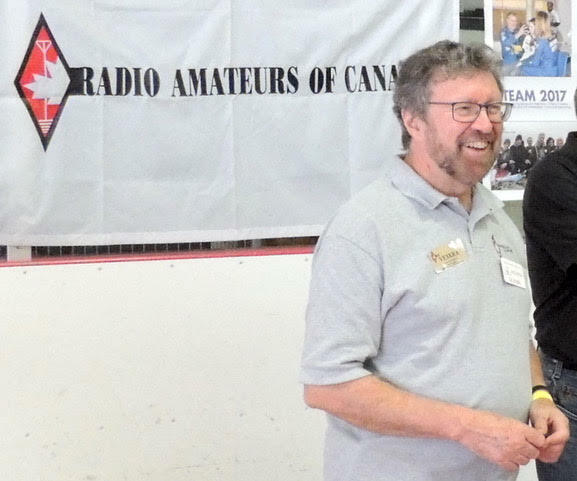 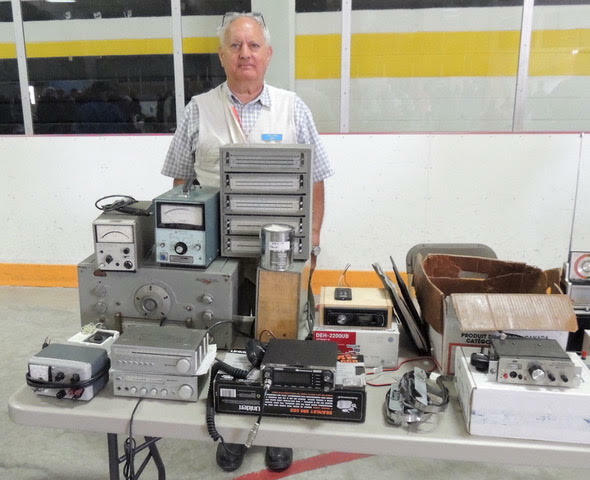 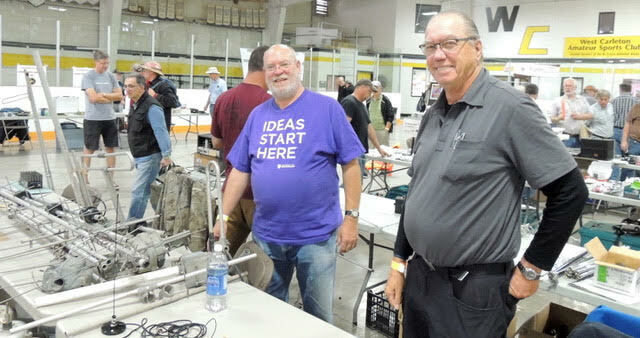 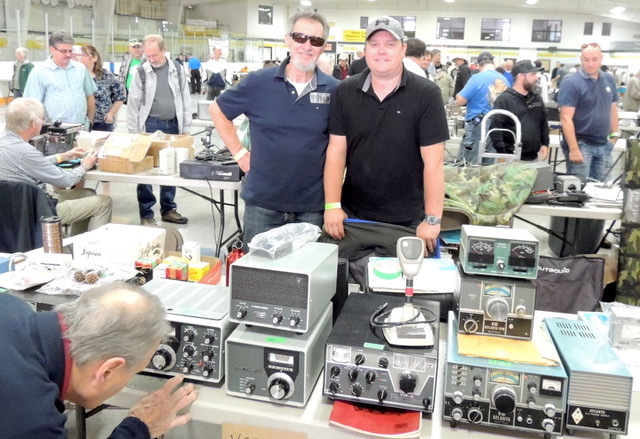 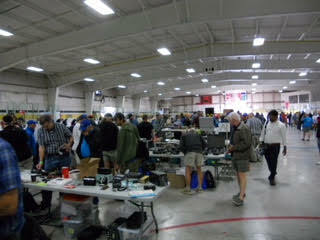 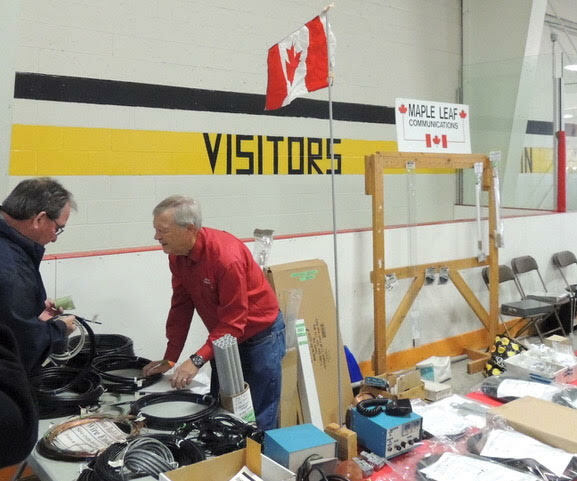 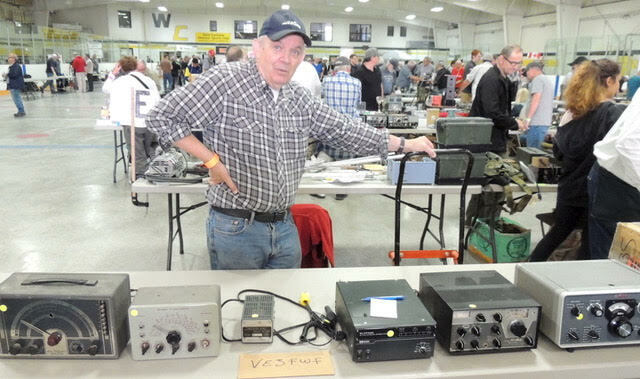 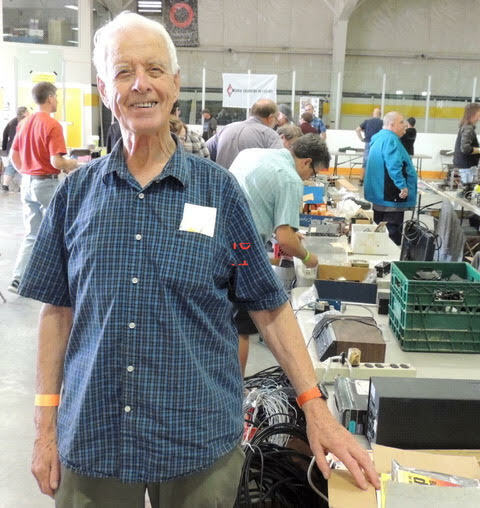 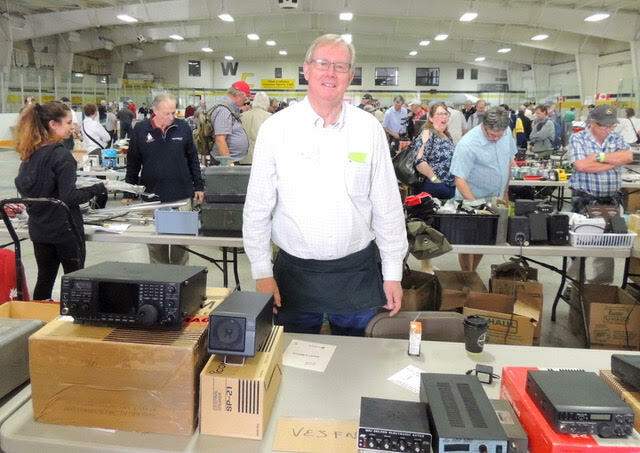 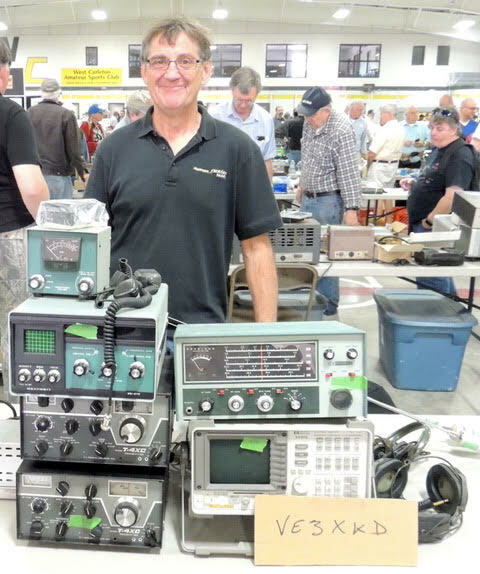 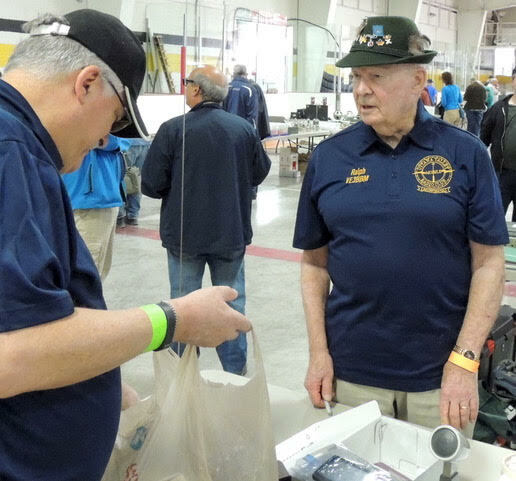 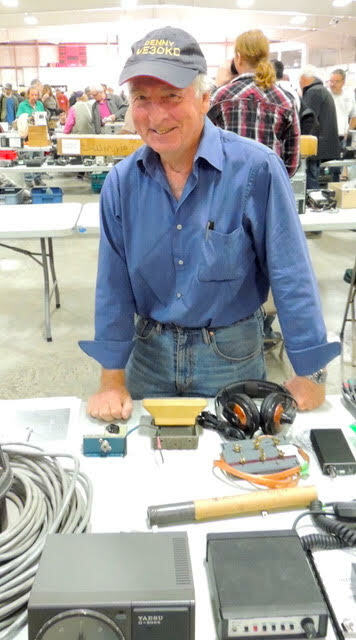 Doug, VE3XK, a former RAC 1st VP, representing the West Carleton ARC. 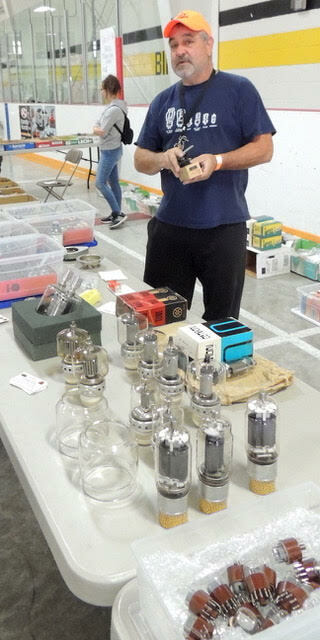 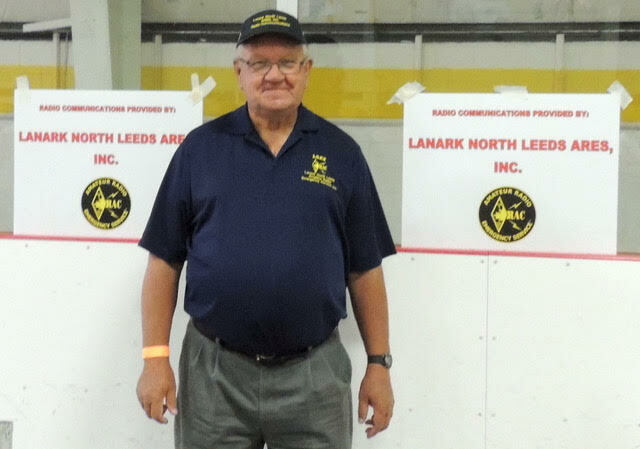 Bob, VE3NZQ, representing Lanark North Leeds Amateur Radio Emergency Service (ARES). 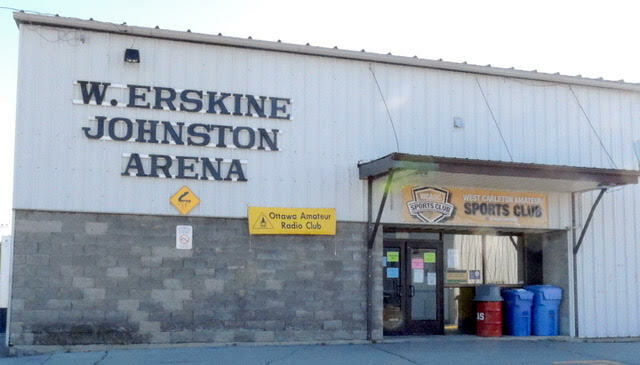 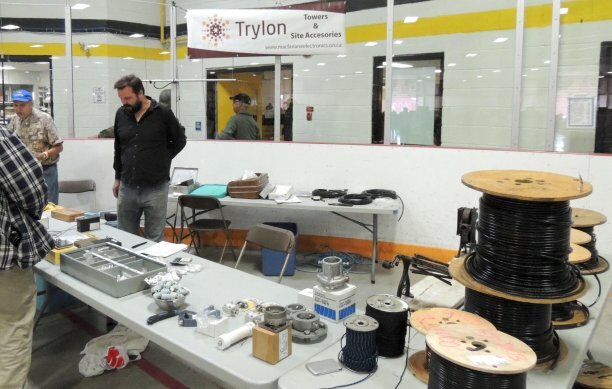 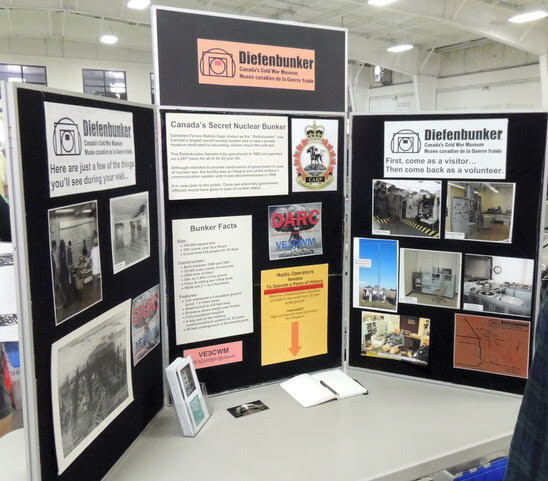 The famous Cold War Diefenbunker is nearby in Carp. 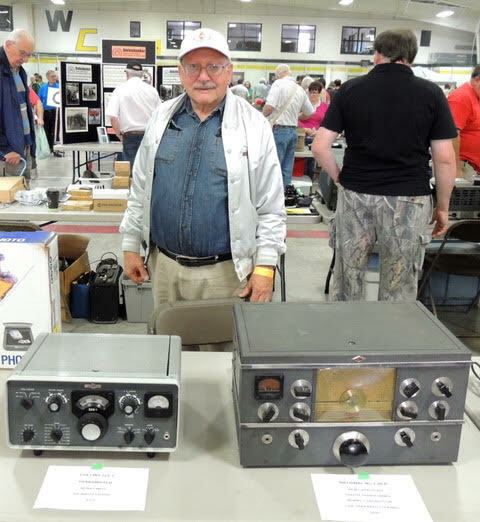 made by Dominion Electronics in 1945. 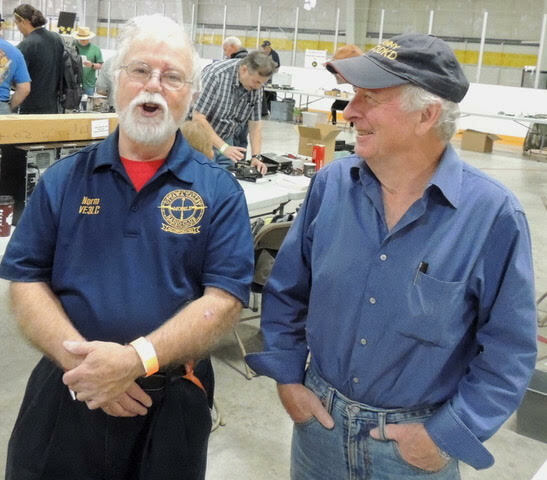 Luc, VE3JGL, and Don, VE3PM. 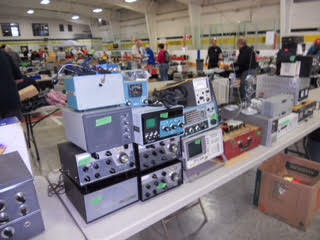 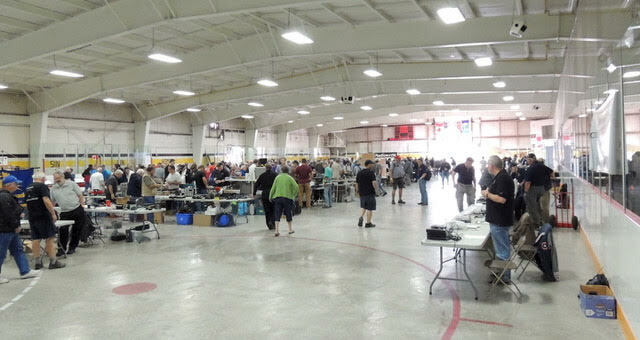 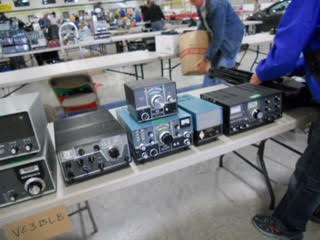 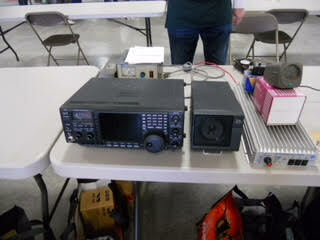 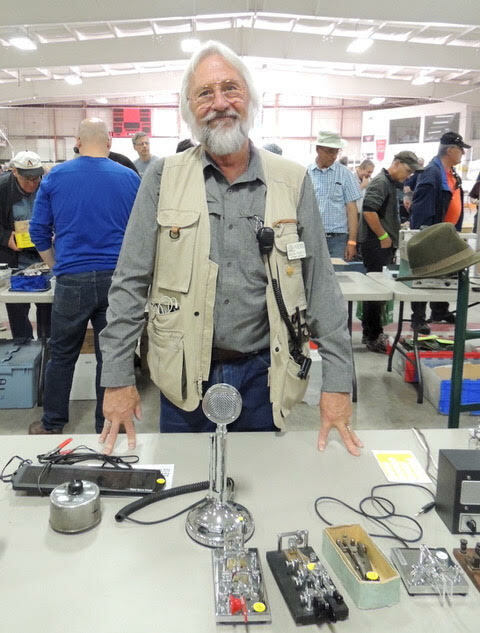 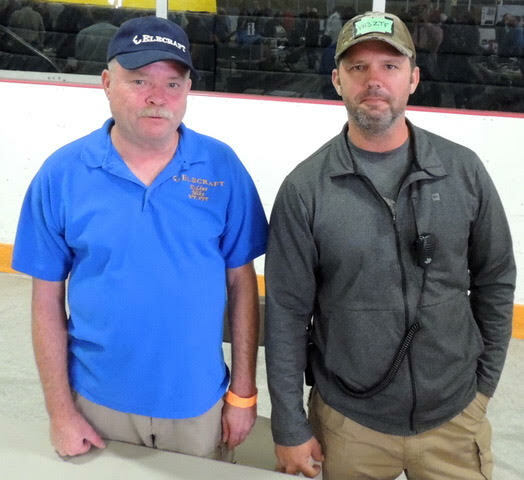 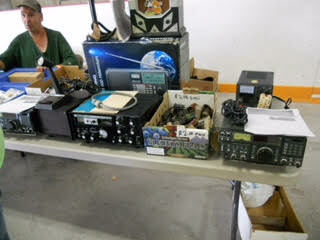 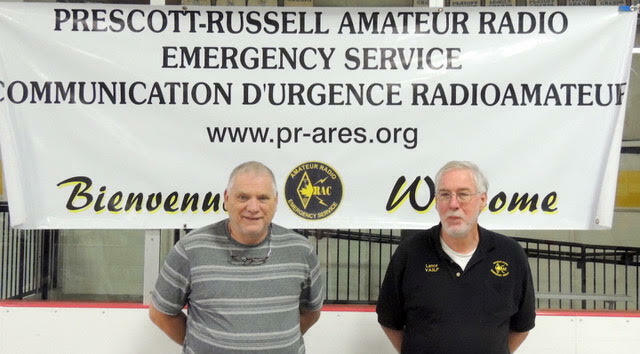 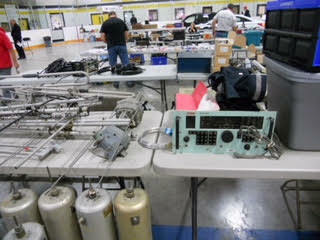 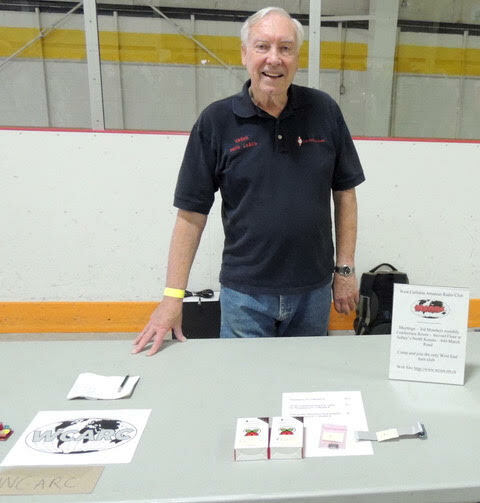 the Prescott-Russell Amateur Radio Emergency Service (ARES). 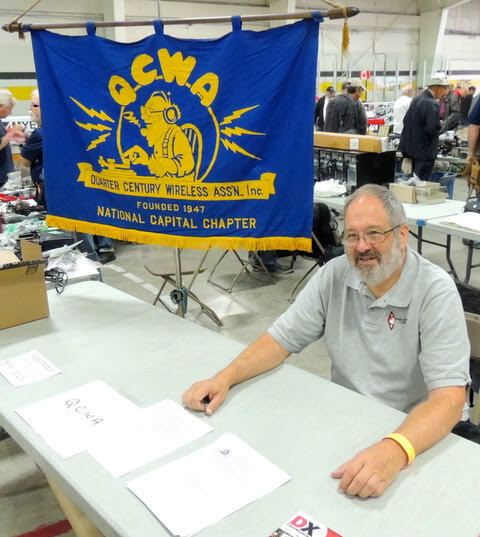 of the Quarter Century Wireless Association (QCWA). 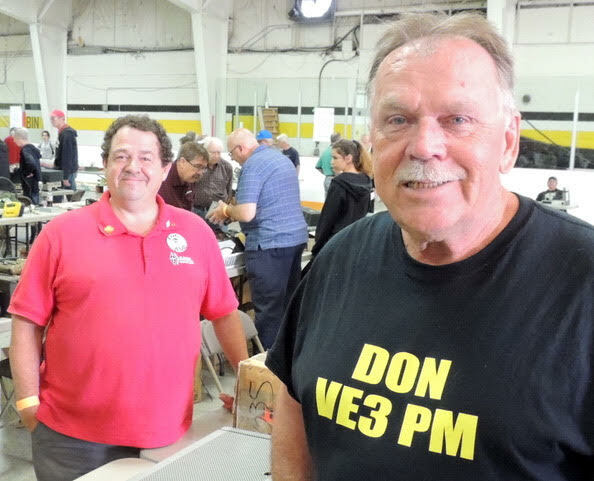 Richard, VE3UNW, and Ed, VE2MPP. 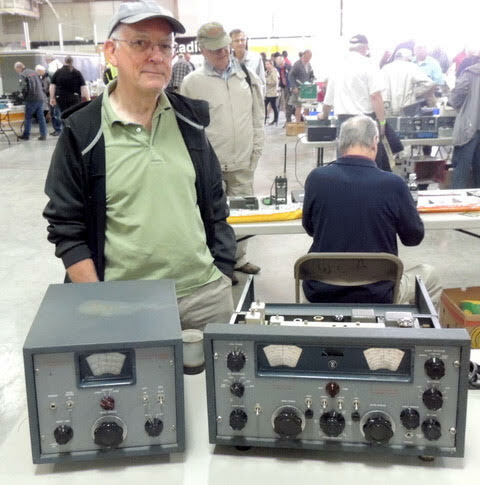 and the GSB-1 SSB rx adapter (left), made in Ottawa in the late ‘50s. 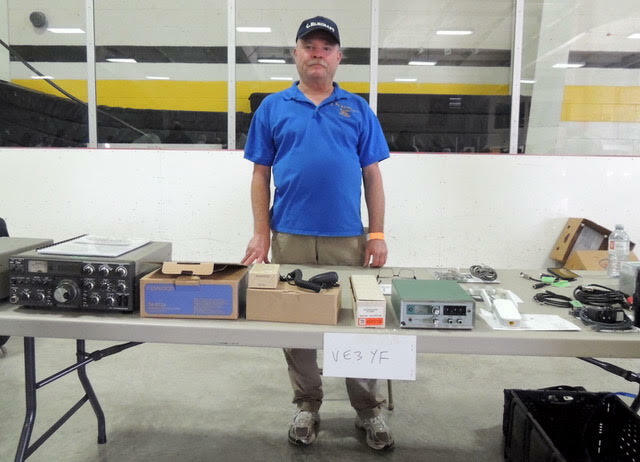 Didn't sell it? 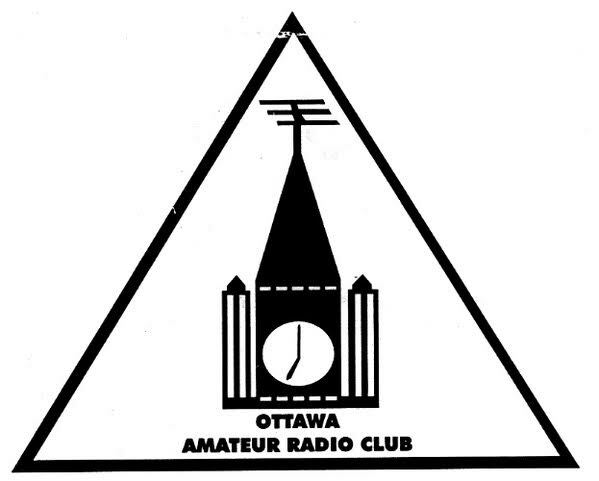 Click above! 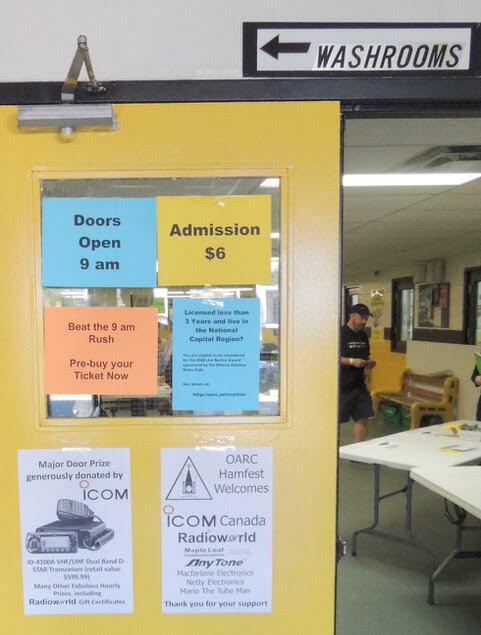 Persons using this information do so at their own risk, and by doing so agree to imdemnify and hold The Ontars Net harmless with respect to the information provided.